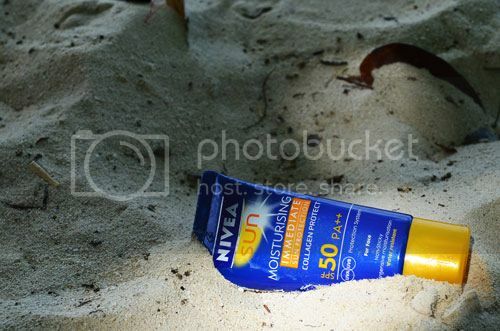 After weeks of ultra fun, enjoying the sun and the sand, I can really feel summer is coming to a close – why? Because I’m now getting calls for the first semester subject load assignments and that would only mean one thing – Classes time …. Huhuhu! Well, at least we’ve made the most out of our summer despite of … wala na pala akong pera, lol. All through-out our sun wanderings we had one buddy kept tagging with us anywhere we went - Cebu, side trip to Dumaguete, days of sun fun around Siquijor Island – Nivea Sun. 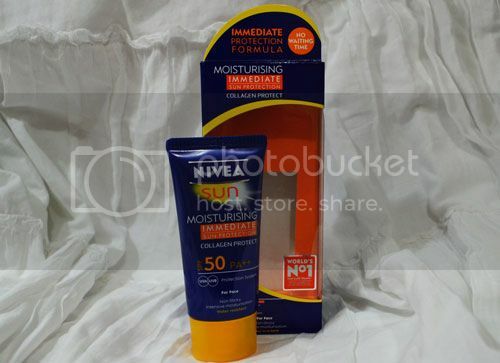 This sun immediate protection face cream, I apply it though to some other parts of my body esp. the back, comes with SPF 50. I just have to believe what this product promise that it contains collagen to help prevent wrinkles caused by frequent exposure to the sun. It has an intensive moisturizing effect and indeed non-sticky.